Home to the world’s most famous playwright, unique heritage, great theatre, culture and glorious gardens, Stratford-upon-Avon also boasts a wide range of local food and drink businesses. Visitors can also enjoy a range of food and drink events from food festivals, chocolate making workshops and cocktail making classes! Every September the town comes together to celebrate all things food with Stratford Town Centre Food Festival. The free festival, which takes place from 22-23 September, is one of the highlights of the town’s social calendar. With a bustling regional producers’ market, demonstrations and hands-on workshops showcasing the town as the premier food and drink destination it is. A regular hit at the festival are the popular Taste and Ale Trails, giving visitors the chance to try tasty treats from several town centre eateries, taking them to some of the town’s most exciting independent businesses. The Farm, which is due to open late March 2019, is a family run business based in Stratford upon Avon. The business features a collective of Artisan food producers discovered within a 30 mile radius, a wholefood cafe which uses produce from its onsite kitchen garden and a deli filled with unique dishes. 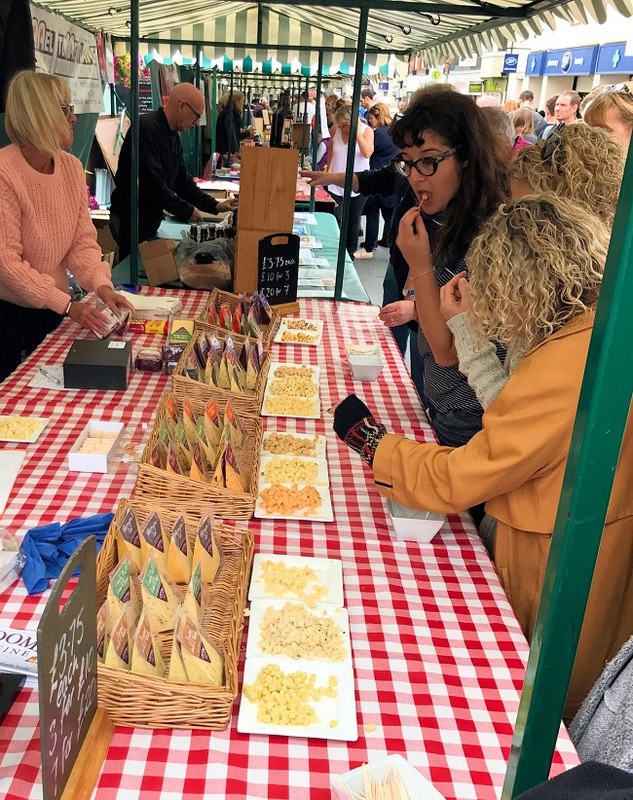 Every week there are some fantastic markets with great local food and treats in various locations in Stratford-upon-Avon, and about once a month these markets become extra special when they are transformed into special events with food, drink and entertainment. On 5 October is ‘The Cheese, Wine & Spice Market’ where specialist artisan cheese, wine and spice vendors will be invited from far and wide. On 31 October visit the ‘Chocolate & Prosecco Mystical Market where you can see an abundance of chocolate wine, cocktails & liquors, wine gazebos, chocolate cheese and everything chocolate and bubbles. The Steamhouse on the High Street is among the eateries in town that truly offers foods from both ends of the spectrum. Delicious and healthy bagels filled to the brim with locally sourced, healthy veggies, meats and cheeses AND the most sinful and “dirty” delights in the form of mouth-watering doughnuts and cakes. 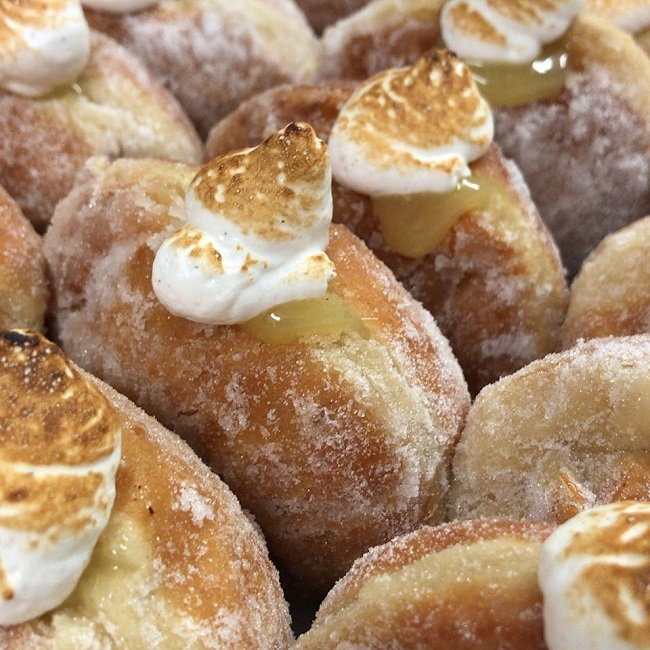 Their incredibly tasty lemon meringue doughnut was the inspiration for this very article and The Steamhouse is fast becoming a lunch-time favourite among locals as well as visitors. One of the best ways of spending a couple of hours in Stratford-upon-Avon is to sit back in a comfy sofa, watch a great movie and eat a delicious meal all at the same time. 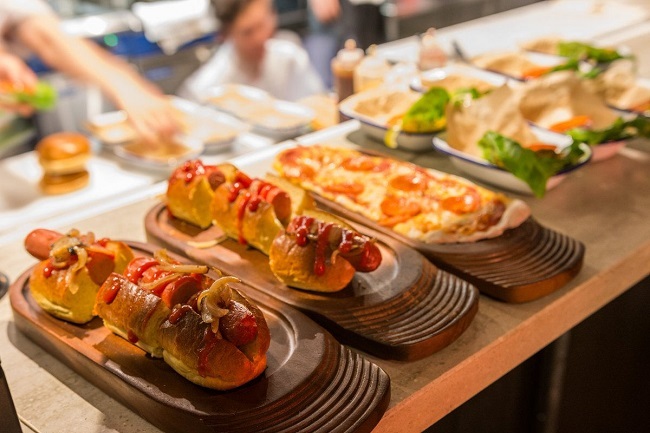 You can do just that at Everyman Cinema in Bell Court and you’ll be choosing from some incredibly tasty dishes as their menu is packed full of feel-good food… don’t miss the hot dog, it’s very, very special. Just outside Stratford-upon-Avon in Henley, is a team of ‘chocolate fairies’ who make fabulously tasty chocolate products using the best fresh and local ingredients. Henley Chocolates sell silly chocolate and serious chocolate and everything in between, they’re even eco-friendly. Buy online, visit them or even try your hand at making chocolate yourself in one of their workshops which cater for groups between 6 and 16. The good people of Stratford-upon-Avon are a lucky bunch. Being local to the town of Shakespeare, that is visited yearly by around 5 million tourists from all over the World, has it’s real perks. One of the main perks being, of course, that your neighbours are the likes of tourism power houses like The Royal Shakespeare Company and Shakespeare Birthplace Trust as well as a great number of other fabulous attractions, places of interest and, not least, eateries. Unlike most tourist destinations that are often weather or holiday dependent, this town is a destination all year round due to the nature of its main attractions (you don’t need sun to enjoy Shakespeare), and this is great news for businesses like restaurants as they can have diners at the tables every day of the week. And thriving food businesses within a town breed a healthy food culture, bringing us neatly back to the lucky people of Stratford-upon-Avon who get to enjoy this all year round. There are simply too many wonderful and exciting restaurants, cafes and food outlets in Stratford-upon-Avon to mention in one breath, but definitely don’t miss Veeno in Bell Court for their unbelievable Italian cheese and meat boards, The Castle at Edgehill for serving some of the very best pub food in the area, Fizz & Fin for their mussels and Cox’s Yardfor their mouth-watering burgers. The Royal Shakespeare Company is offering a unique opportunity each month to enrich your knowledge of a chosen drink. Sample a range of drinks from the evening’s selected brand, eat from a tailored menu and be guided through the chosen tipple by an expert brand ambassador. 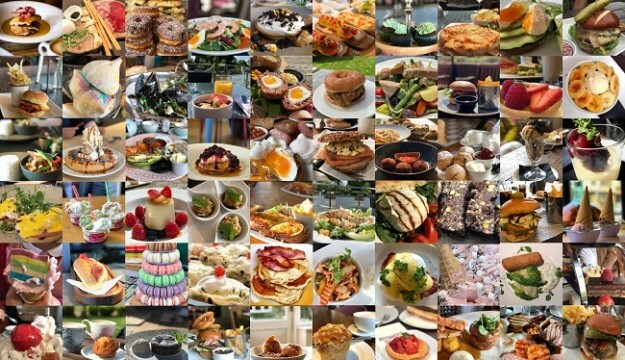 Now enough words… on this particular topic, images will beat words any day, so check out this collage of delicious, scrummy. tasty, mouth-watering and yummy treats, every single one enjoyed in Stratford-upon-Avon.